1-مناقشة رسالة ماجستير خاصة بالسيد ط.ب. احمد عبد الؤحيم سوسة - الباحث فى المركز القومى للبحوث يوم السبت الموافق 26 / 10 / 2015 بعنوان "Genotyping ofsome genes related to fertility in buffaoes" "الطرز الجينية لبعض الجينات المرتبطة بالخصوبة فى الجاموس"
2-Doing 42 (forty two) Scientific researches in the field of Specialization and publishing them in many Local and foreign Conferences. Journals and periodicals. 3-Establishing the Department of Obstetrics, Reproduction and Artificial Insemination- Faculty of Veterinary Medicine Benha University. 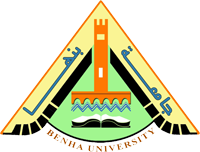 4-Setting up and Establishing public Service Center for Scientific activities and purposes – Faculty of Veterinary Medicine – Benha University. 5-Reviewing and technical Examination of the annual self – report and Characterization of programs and courses for all faculties of Benha Universities before sending them to the National Committee for quality assurance and accreditation to be submitted to quality assurance and accreditation to start the development stage by participating. 6-- participation in preparing the part concerning the activities of following – up and supporting team in the periodic report to be submitted to the international Bank. 7-Participation in all meetings held with the delegates of faculties in the National Committee for quality assurance and accreditation to discuss the required amendments in the annual self – report and the required documents after reviewing . 8-Participation in reviewing and technical examination of the annual self-report, characterization and determination of programmes and courses, handing over to the National Committee for quality assurance and accreditation on projects of setting up an internal system for quality Assurance in the faculties of Egyptian Universities (115 faculties). Before starting the stage of development participating. 9-Participation in preparing periodic reports in the National Committee for quality assurance and accreditation on technical Satiation for projects of setting up an internal System for quality assurance in Egyptian Universities (16). 10-Participation in the team of following up and Supporting projects of Quality assurance in Egyptian Universities – the National Committee for quality assurance and Accreditation in several field visits for following-up and presenting technical Support needed for projects of setting up an internal system for quality Assurance in the faculties of Egyptian Universities – (16). 11-Participation in prepping the guide issued by the National Committee for quality assurance and accreditation about the centers of quality assurance in Egyptian Universities. 13-Participation in reviewing technical examination of proposals for setting up projects of an internal system of quality assurance (QAAP) and presenting it to the National Committee for quality assurance and accreditation from different faculties in Egyptian Universities. 14-continuous development project management from various Faculties in Egyptian Universities. 15-Participation in reviewing and technical examination of proposals for setting up an internal system of quality assurance (QAAP) Presenting it to the Continuous development project management and quantifying for accreditation from Various faculties in Egyptian Universities . 16-To supervise the organization of workshop organized by Benha University and NAQAAE in Benha University. 17-Member of Scientific Journal and Conference Committee in the Egyptian Veterinary Medical association. 18-Member of Administration Board of the Future School for Languages in Al Amariya. 19-A Member of Organization Committee for the University Society Week during April, 2010m. 20-Participation as a peer reviewer among peer reviewers group which reviewed the faculty of Education – Menia University in the Period from 10 to 12 March 2009 m.
21-Attendance and participation in training courses for trainers organized by the department of continuous development and qualifying for accreditation program in the period 22-23 April 2009 m .
22-To supervise the organization of workshop organized by the management unitof Education Development projects – Benha University. Identifying of new projects and how to apply for the on 11th may 2009 m.
23-Participation as a peer reviewer among peer reviewers team which reviewed the faculty of Veterinary Medicine – Cairo university in the Period 10-13 February 2008 m.
24-Participation in preparation for organizing of the Ceremony of Signing Contracts for the Continuous development projects and qualifying for a accreditation (CIQAP – QAAP2 ) held on 5 March, 2008 m.
25-Participating in the Temus conference on quality of higher education – Cairo – Egypt – which was held in the period 7-8 May 2008 m.
26-Attendance and participation in training Course organized by the National Authority for quality Assurance and accreditation entitled Standards of self – study of Higher Education installations held in the period 18-19 May 2008 m.
27-Participation in preparation and organization of the workshop held in the Great Hall of Celebrations – Benha University – on identifying how to apply for the Continuous development project and qualifying for accreditation on 25 May 2008 m.
28-Attendance and participation in the first Conference organized by the National Authority for quality Assurance and Accreditation- held in the Conferences Center of Al Azhar University about the Standards and the way to quality Assurance and Accreditation in the period 20 – 21 June 2008 m.
29-Attending the Seminar organized by the National Authority for Education quality assurance and accreditation about the European Experience in the field of Quality Assurance and Accreditation systems in Education in the period from 4 to 5 September 2008 m.
30-Participating in the preparation and organization of the Quality Day Ceremony at Benha University on December 4, 2008 m.
31-Attendance and participating in the workshop held on December 27, 2008, On Management and leaderships at thirty – fifth international Conference of Egyptian Scientists Association in North America. 32-Participating in thirty – fifth International Conference of Egyptian Scientists Association in North America which was held from 27 – 29 December 2008 m - about the cooperation between the Egyptian Scientists at home and abroad ( Strategies and a future vision for recent education). 33-Attendance and participation in the Workshop on writing reports to Heads of the peer reviewers, organized by the National Committee for quality assurance and accreditation - Faculty of Agriculture – Cairo University in the period of 14th -15 January 2007 m.
34-Participation in preparing and organizing of the Conference organized by the National Committee for Quality assurance and accreditation entitled. Quality Assurance and Accreditation in Higher Education: the way to the Future" under the patronage of Prof. Dr /Minister of Higher Education and State for scientific research- Celebrations Hall – Cairo University on 6th January 2007 m.
35-Attendance and participation in the workshop for Heads of teams and peer reviewers, organized by the National Committee for Quality Assurance and Accreditation – Faculty of Agriculture – Cairo University on 17th January 2007 m.
36-Attendance and participation in the workshop on drawing up Executive plan of Faculties – Faculty of Agriculture – Cairo university on 18th January 2007 m.
37-Participation in the preparation of the National Committee fair for quality assurance and accreditation during the Conference organized by the fund of Higher Education Evolution ( HEEPE) – Al Azhar Conferences Center on 20 March, 2007 m.
38-Participating in Preparation and organization of the workshop organized by the National Committee for quality Assurance and accreditation in cooperation with Ain Shams University on " National " Standards of reference for academic programmers – Conferences and training Center – Faculty of Medicine Ain shams University on 22 April, 2007 m.
39-Attendance and participation in the workshop organized by the National Authority for quality assurance and accreditation in cooperation with the Suez Canal University on “How to design a strategic and Executive plan to be accredited” Conferences Center – The Suez Canal University (Ismaliya) on 17 July 2007 m.
40-Attendance and participation in the workshop, organized by the National Authority for Quality assurance and accreditation in Cooperation with Helwan University on the role of University leaderships in promoting quality Systems and accreditation – Hall of Prof. Dr Hosni Hassan – Helwan University on 27 October, 2007 m.
41-Participation in Supervision on the Students of the Faculty of Veterinary Medicine – Benha University in First Friendship Course in Cairo – Faculty of Veterinary Medicine – Cairo University - 4th 5th March 2006 m.
42-Participation in the supervision on the third group of Benha University youth in the session held during the period from 14th 19th July ,2006 m - leaders preparation institute in Helwan – Ministry of Education . 43-Attendance and participation in program of training the Trainees ( TOT) – Benha University – 18th -20th February 2006 m.
45-Training Supporters of Teaching Staff Members in the program of scientific research methods – 12th 15th June 2006 m.
48-Attendance and participation in the workshop on Managing the Comprehensive quality in Universities and Higher Education, Big celebrations Hall – Benha University on 5 th June,2006 m.
49-Attendance and participation in the workshop, organized by the National committee for quality assurance and accreditation Faculty of Agriculture – Cairo University on 9th July 2006 m.
50-Participation as a peer reviewer among peer reviewers team which reviewed the Faculty of Veterinary Medicine – Zagazig University in the period from 29th October to 2nd November 2006 m.
51-Member of Administration Board of the Egyptian Medical Veterinary association – from April 2006 m - up 2010m. 52-Member of team work for all caravan organized by the Faculty of VeterinaryMedicine and University IN Qalubia Province - to serve the community and increase animal production and the development of the surrounding environment since he was appointed lecturer college - even the academic year 2005 / 2006m. 53-Attendance and participation in the program of “Profession Morals and Behaviors – Benha University – 26th -28th April 2005m. 55-Attendance and Participation in the program of training (Tot) – Benha University – 25th -28th June 2005m. 56-Attendance and participation in the program of motivating power of the work groups – Benha University – 20th 23rd June 2005m. 57-Training the trainees from Supporters of teaching Staff Members in the Program of Scientific research Skills – Benha University 21st -24th August 2005m. 58-A reporter of religious and cultural Symposium, held in the Faculty on Philosophy of Prophetic Immigration in the events of cultural season for the Faculty on 9 March, 2004 m.
59-A member of organizing Committee of Symposium held in Big Celebrations Hall “in University Branch on the world of living organisms in the Qur’an and the Sunna in the events of Cultural Season for the faculty and University at Benha on 26th April, 2004 m.
60-Secretary of the Scientific Symposium organized by the Faculty in the framework of Scientific cooperation with Egyptian Association for production and fertility in animals and veterinary medicine Directorate in Kalubiya Governorate on “Recent Trends to raise the fertility rate in Agricultural Zoology in Kalubiya – Benha on 27th April 2004 m.
62-Attendance and participation in the program “The Effective management of time and work pressures “ – Benha University – 28th -30th November 2004m..
64-Supervision on the various cultural activities of the Cultural Committee, Faculty Students’ Union, from the academic year 2003/2004 -2008/2009m. 65-A member of organizing Committee for “ Veterinary Friendship Day – Organized by the Faculty of Veterinary Medicine at Moshotohor within the activity of the Faculty Students’ Union on Wednesdays , 27 March, 2002m. 66-A member of organizing Committee of the Symposium on the role of radiation in Medicine and the Environment , held in the Faculty within the activity of the Faculty Students’ Union under the auspices of Prof. Dr / the president of University on 1 April, 2001m. 67-Chairman of organizing Committee of the Symposium on “ the necessity of fish planting in A.R.E, held within the activity of the Faculty Student’s Union under the auspices of Prof. Dr / vice – prim minister and Minister of Agriculture and land reclamation and Prof. Dr/the president of University on 9 May, 2001m .